Those of you who often have to drive into a busy city will know all too well how much time can be wasted looking for a parking space, especially if parking lots are scarce or full and you’re left looking for a gap on the street. You can drive for ages before you find a space, only to discover – once you’ve pulled up alongside it – that your car’s too darn big for it. Drive a Hiriko, however, and your parking problems will be a thing of the past. 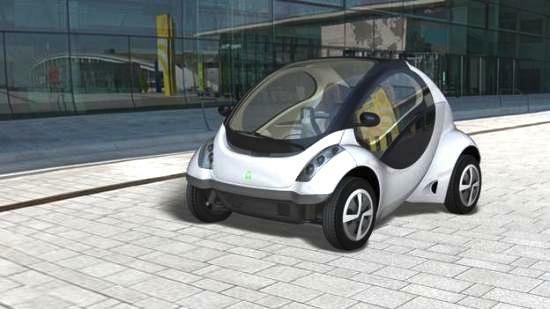 The diminutive car, developed by researchers from the Changing Places group at the Massachusetts Institute of Technology (MIT) in collaboration with the Basque Center for Innovation, can cleverly fold itself up into a more compact shape, enabling it to squeeze through tight gaps and, of course, into tiny parking spaces. 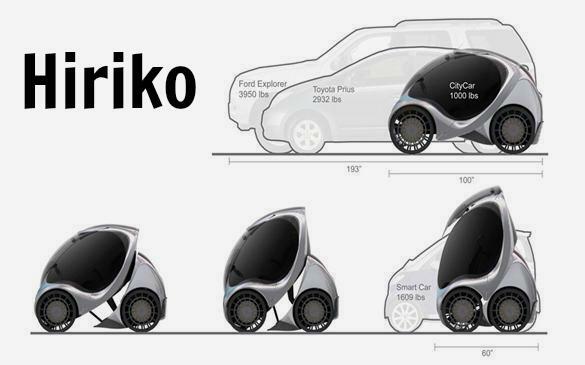 Although the Hiriko (also known as CityCar) has been in development for a few years, the latest news is that next year the innovative vehicle will go on sale for the first time, with an expected price tag of around $16,000. The eco-friendly two-seater, which runs on a lithium-ion battery, can cover a distance of around 75 miles before it needs rejuicing. It also has a zero-turn radius, allowing it to spin on the spot or move sideways, a boon for those who find parallel parking nothing short of a nightmare. As the video below shows, you climb into the Hiriko through its fold-up windshield, and drive it using something that looks more like a joystick than a steering wheel. Vehicles like this would be great in some European cities, with their narrow, winding streets, many of which were laid down long before the first car was even built. It’s possible, though, that some drivers may feel a little vulnerable driving one of these around. It’s such a tiny thing that one wonders how much protection it would offer in the event of an accident, though of course in many congested cities the traffic moves so slowly that light bumps are far more common than full-on car-crumpling smashes. Either way, we may soon be seeing the Hiroko trundling along our city streets, slotting effortlessly into parking spaces we never knew existed.